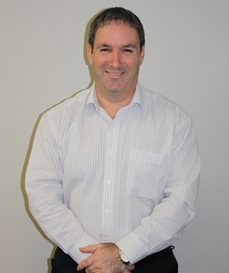 Freshmax New Zealand is pleased to announce the appointment of long standing team member, Terry Brown, to the newly created role of General Manager - Business Development. In this capacity, Brown will lead in identifying opportunities for expansion across the Freshmax New Zealand business. Working with the wider Freshmax Group, Brown will drive the development of a national category strategy, supporting strategic group supply initiatives, and driving the growth of key accounts and retail partners. “We have a great opportunity to expand the Freshmax New Zealand business. We will focus on developing existing and delivering new commercial relationships with our key customers and supply base. We will continue to develop a focused category strategy, supported with strategic supply and product initiatives, to drive sustainable growth through the supply chain” says Brown. As Freshmax’s business continues to grow, the Group’s Executive is pleased to be able to draw on expertise, both internally and externally. “Terry’s new appointment is a good example of the Group making the best use of existing talent” states Billy Latkas – GM People & Organisation.